UQ Cyberschool 2013 Update. 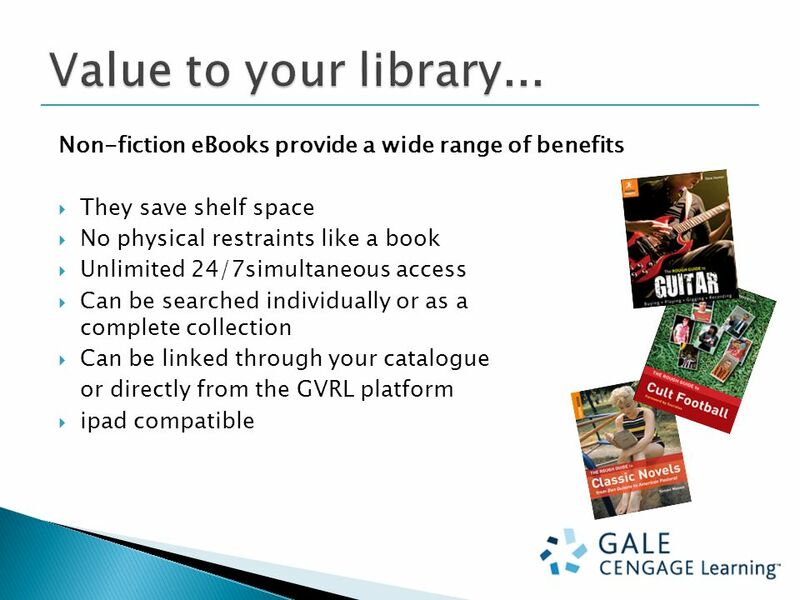  Fully searchable non-fiction eBook titles from Gale and other eminent publishing partners-available through the Gale Virtual. 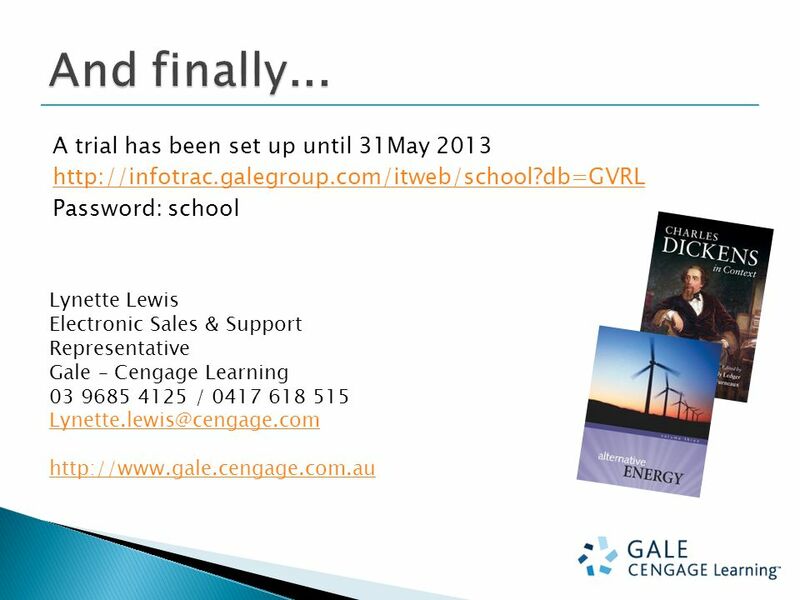 Download ppt "UQ Cyberschool 2013 Update. 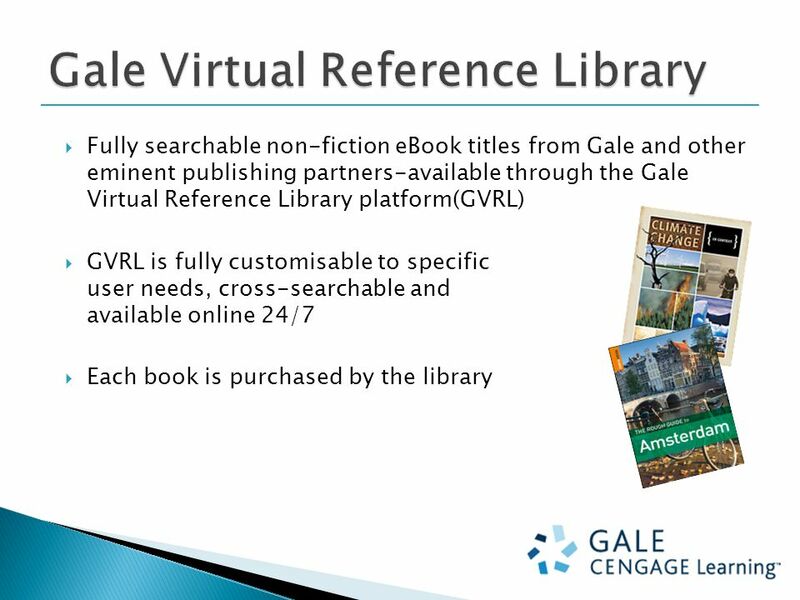  Fully searchable non-fiction eBook titles from Gale and other eminent publishing partners-available through the Gale Virtual." Support.ebsco.com History Reference Center Tutorial. 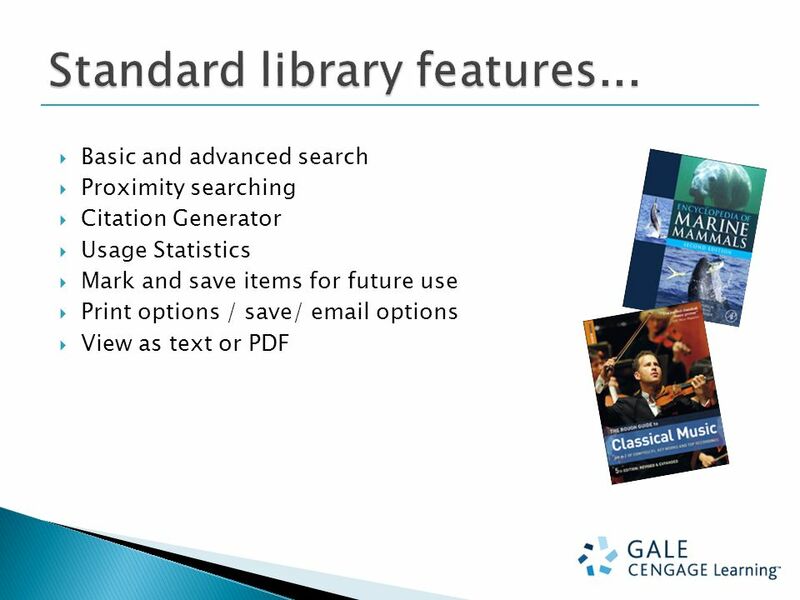 EBOOKS Current events in library provision Colin Sinclair, Library Content Manager. WORLD SCIENTIFIC USER GUIDE. Learn all about the new World Scientific platform We are really excited to be launching our new platform as it will enable. Los Angeles | London | New Delhi Singapore | Washington DC. The Springer eBook Collection Heather Ruland Staines Senior Manager eOperations Springer Science + Business Media Auditorio del Museo Universitario de. Cambridge University Press Our digital platforms for titles published by Cambridge University Press and our Partner Presses. Wiley OnlineBooks TM – There is always a copy online Электронные книги Wiley InterScience всегда доступны он-лайн Jonathan Wynne. Single Search By Rakphao Theppan, librarian Searching Online Resources. 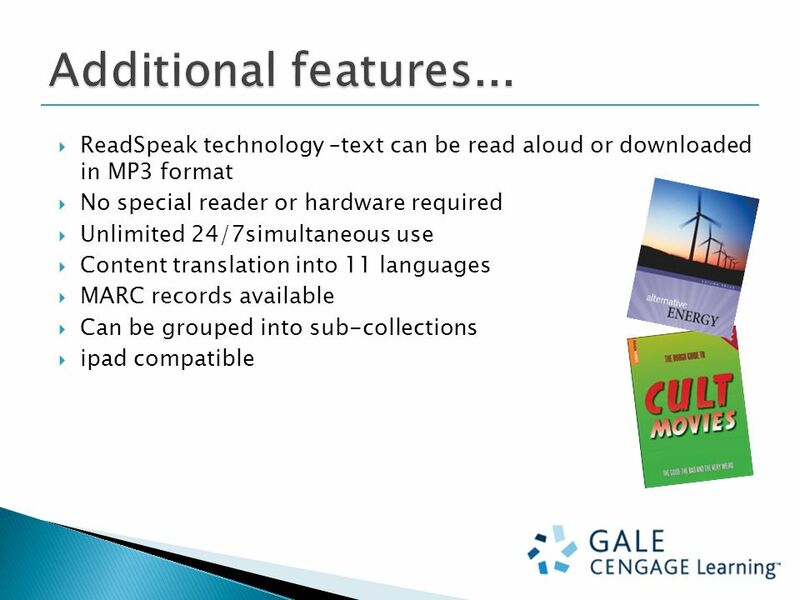 SpringerLink An overview (with a focus on eBooks!) Amber Farmer Licensing Manager, Scandinavia Discover More! 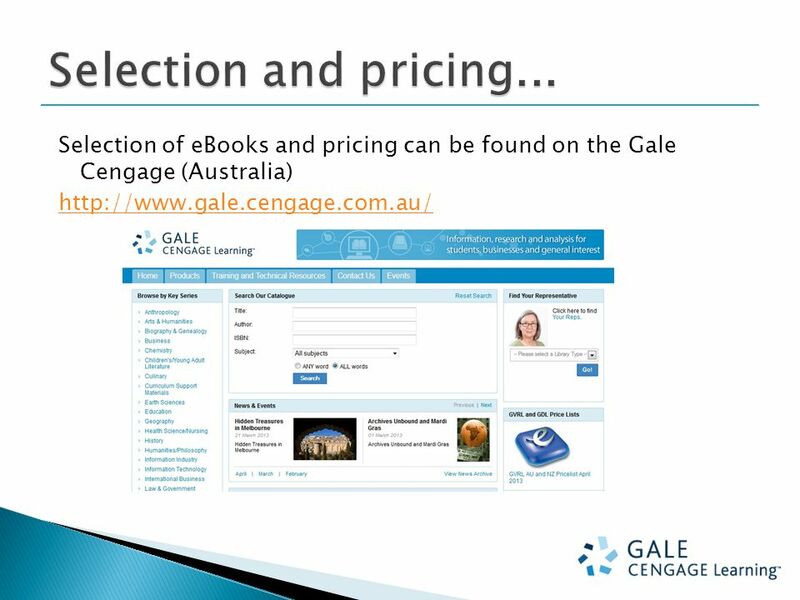 Using e-books for research Nicola Conway Liaison Librarian. Electronic Books Where do you find them? How do you purchase them? And Why do we need them? Using e-books for research Richard Pears Liaison Librarian.